Web server plug-in based Web application firewall. Developer website: Applicure Technologies, Ltd.
Is there a better alternative to dotDefender? Is dotDefender really the best app in Servers category? Will dotDefender work good on macOS 10.13.4? 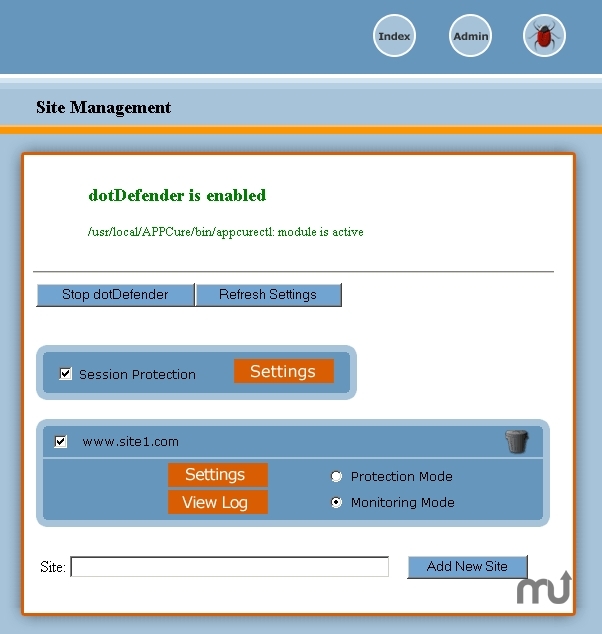 dotDefender is a software-based Web application firewall deployed as a Web server plug-in to identify and stop attacks that attempt to exploit vulnerabilities in Web applications. dotDefender complements the network firewall and other network security products by intercepting seemingly legitimate users attempting to use the Web application to commit fraud, or gain access to valuable and confidential information. Mac OS X 10.3.9 or later, Apache 1.3x, 2.0x, Perl interpreter installed. dotDefender needs a review. Be the first to review this app and get the discussion started! dotDefender needs a rating. Be the first to rate this app and get the discussion started!